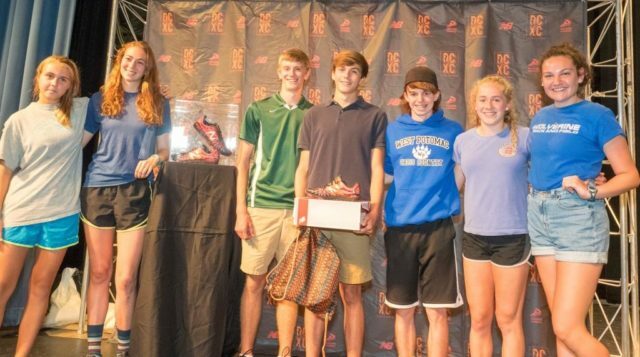 RunWashington will announce its 2016 All-RunWashington preseason cross country team Aug. 21 at a pep rally open to all high school runners. The event will be held at the Healey Family Student Center at Georgetown University from 6-8 p.m.
Georgetown alumna Emily Infeld finished 11th in the Olympic 10,000 meter final, running 30:14.17. RunWashington Periscoped author Chris Lear‘s appearance at the Pacers Summer Running Book Club. You can view the discussion of his 2000 book Running With the Buffaloes here. Check how you’re doing in the RunWashington runner rankings. If one of your results from a 2016 ranked race is missing, notify [email protected].